When photographing high school teams, I cover both the home and away teams for the local town newspapers which have the same publisher and sports editor. 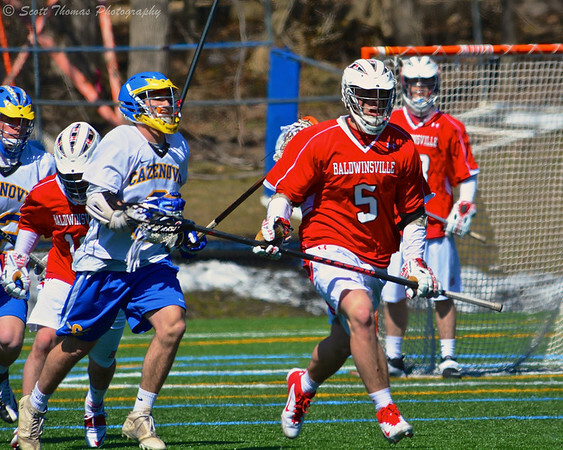 I was at the Baldwinsville Bees at Cazenovia Lakers Varsity Lacrosse game last Saturday. After the game I sent a dozen photos to the editor and he chose two, one for each online newspaper. Cazenovia Lakers Alex Sullivan with the ball against the Baldwinsville Bees on Saturday, April 6, 2013. Nikon D7100/80-400VR AF, 1/800s, f/5.3, ISO 100, EV 0, 260mm focal length (DX 390mm). Cazenovia ended up winning the game in double overtime, 5 to 4. Here is a link to the online article: Boys lax Lakers sweep Homer, LaFayette, B’ville. Baldwinsville Bees John Walker (5) taking the ball up field against the Cazenovia Lakers on Saturday, April 6, 2013. Nikon D7100/80-400VR AF, 1/1000s, f/5.6, ISO 125, EV 0, 400mm focal length (DX 600mm). 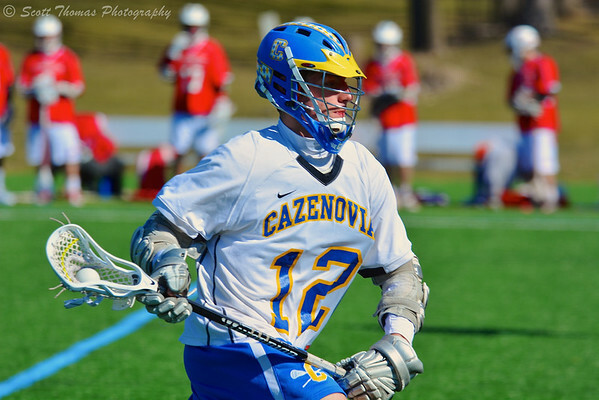 The article for the Baldwinsville online article was much different: Boys lacrosse Bees fall to F-M, Cazenovia. In sports, there is always a winner and a loser. Each side learns from the experience and boys begin their journey to become men. This entry was posted in Sports and tagged 80-400mm, away, baldwinsville, ball, bees, boys, cazenovia, eagle, gloves, helmets, high school, home, lacrosse, lakers, monopod, newspapers, nikon D7100, online, players, spring, sticks, team, vr. Bookmark the permalink.